What are Biggest Advantages of Installing Evaporative Cooling Units? Evaporative cooling is one of the oldest ways of controlling temperature, dating back since the ancient days of the Roman Empire, and comes with various advantages over ACs. Evaporative cooling units can be found in varied models and sizes. These make use of evaporation to cool the adjoining air and works by drawing air from the outside and passing it through a moistened cooling pad into rooms. The cooling pad is continuously kept wet with water while the cooling unit is operational, which ensures constant cooling of the room. Benefits of installing an Evaporative Cooling Unit in Your Home. In refrigerated cooling, the air becomes dry and various chemicals used for cooling are also released into the air – thus polluting the atmosphere and causing throat or ocular irritation. On the other hand, Evaporate cooling is fully natural in operation – given that air is cooled through water. The air is safer to breathe in, as no chemicals are released during the cooling process. You can also keep the windows and doors open, without any concerns about the loss of air flow. There is no re-circulation of air being released from these units, and fresh air constantly replaces the stale air. 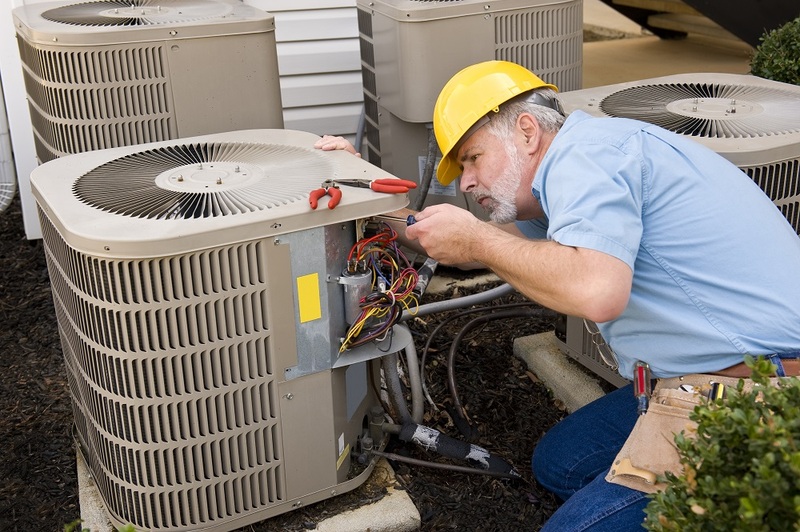 The installation cost for an evaporative cooler is much lower than that of a standard AC. When set up by a licensed contractor, the cost can be in the range of 700 – 1,100 USD. In comparison, traditional air conditioners cost around 2,000 – 3,000 USD. Also, repair expenses for evaporative coolers cost around a third of the repair costs for traditional air conditioners. You have to pay anywhere between 200 – 1,400 USD on an average, while the cost of fixing a standard AC is 3 times more. If you are an AC user and switch to an evaporative cooler, you can witness a huge reduction in your monthly bills. As these systems need electricity only to run the fan and pump, there is up to 50% less operational expense every month. Standard ACs need much more power, as a lot of electricity is needed to power numerous components. As evaporative coolingsystem are simple in design, you can maintain them with ease. These units comprise of 2 main parts:Water pump and Fan motor. You can get an easy replacement in case any, or both, of the components gets damaged. It is possible to find many DIY guides and video tutorials that describe how to repair these systems. With these systems, you can fix it on your own. Even if you wish to hire someone for maintenance, you do not have to spend a lot. Few things can be more irritating; like being unable to sleep due to the whirring noise of an air conditioner. An evaporative cooler is known to run very quiet, and you will hardly feel that it is there. You will get a satisfying sleep during the night in a cool and comfortable climate, minus the noise. Carbon Dioxide (CO2) has a negative impact on people as well as the environment. There is hardly any release of carbon dioxide from Evaporative coolers. With air conditioners, there is much higher amount of CO2 emissions. Evaporative coolers offer fresher air, and there is consistent air flow rate and high volume all through the home, which helps remove airborne pathogens. When you get constantly renewed air, it is possible to reduce the concentration of fungus or bacteria in your home. As evaporative coolingunits raise the level of humidity, you can breathe much better. How Can a Mobile Plant Risk Assessment Help You Operate with Free Mind?